Next month I am co-hosting a Throws Camp with Kurt Roberts, currently ranked top 10 in the world. 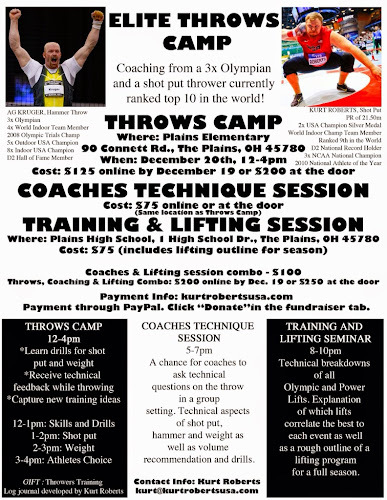 We will be coaching the throws in various settings- there is a camp, a technique session and a seminar. It will be a lot of fun and personalized for athletes. I encourage you to register soon and plan to attend!